Der niederländische Video- und Performance-Künstler Guido van der Werve stellt sich als Protagonist seiner Filme großen körperlichen Anforderungen. In seinen Arbeiten sucht er Zugänge zur Welt- und Selbsterfahrung, indem er den existenzialistischen Wettbewerb mit sich selbst in Szene setzt. Die Umsetzung der konzipierten Ereignisse wird von ihm jedoch nicht nur dokumentiert, sondern vielmehr als Ausgangspunkt genommen, um sie in komplexen Erzählungen über physisches Durchhaltevermögen, den Kampf mit der (eigenen) Natur, das Vergehen von Zeit und die unkontrollierbare Dynamik des Zufalls zu verdichten. Strukturell verankert van der Werve, der auch über eine klassische Ausbildung als Pianist verfügt, seine Erzählungen häufig durch Bezüge zu Biografien von Komponisten wie Rachmaninow oder Chopin sowie durch eigene Kompositionen. So entstehen Arbeiten, die mittels körperlicher Anstrengung die Determinanten von Raum und Zeit vermessen und zugleich von einer tiefen Melancholie und der Verarbeitung von Einsamkeit zeugen. Dem programmatischen Wunsch der KünstlerInnenvereinigung, für seine Ausstellung ein neues Werk zu entwickeln, hat Guido van der Werve mit einer Publikation, Nummer vijftien, at war with oneself, entsprochen. Das umfangreiche Künstlerbuch beinhaltet Text- und Bilddokumente sowie Selbstreflexionen und Analysen zu seiner jüngsten Werkgruppe aus den Jahren 2008 bis 2012, in der er neben der klassischen Musik vor allem den Sport thematisiert. As the protagonist of his own films, Dutch video and performance artist Guido van der Werve makes great physical demands upon himself. His works chart approaches to the experience of self and the world by staging an existentialist competition with himself. However, he not only documents the realisation of the conceived events; this documentation is also taken as a starting point from which to condense them into complex narratives about physical endurance, struggling with (one?s own) nature, the passage of time, and the uncontrollable dynamics of chance. Van der Werve, who has also completed training as a classical pianist, often anchors his narratives structurally by reference to the biographies of composers such as Rachmaninov or Chopin, as well as using his own musical compositions. In this way he produces works that measure spatial and temporal determinants by means of physical effort, yet also bear witness to a deep melancholy and the need to come to terms with isolation. 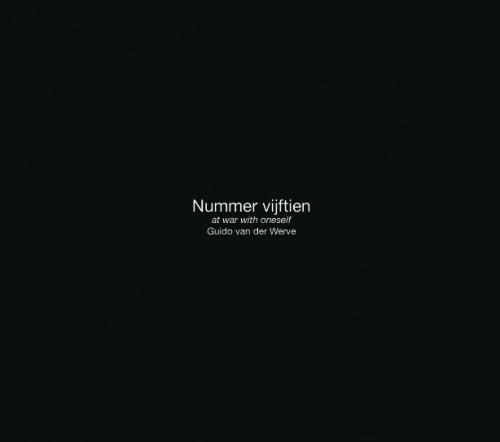 Guido van der Werve complied with a programmatic request from the Sesession to develop a new work for his exhibition by producing a publication, Nummer vijftien, at war with oneself. This extensive artist's book includes textual and pictorial documents, self-reflective pieces and analyses of his most recent group of works from the years 2008 to 2012, in which his main theme is sport alongside classical music.